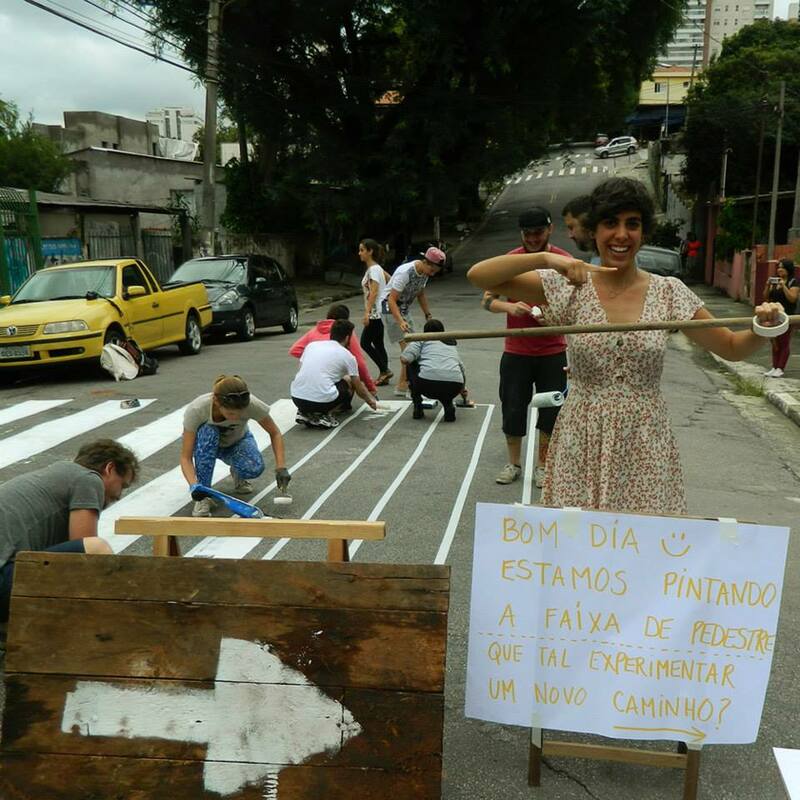 In 2015, Acupuntura Urbana, a São Paulo-based social enterprise, partnered with groups Rua and CaféNaRua to remedy a dangerous intersection in São Paulo. 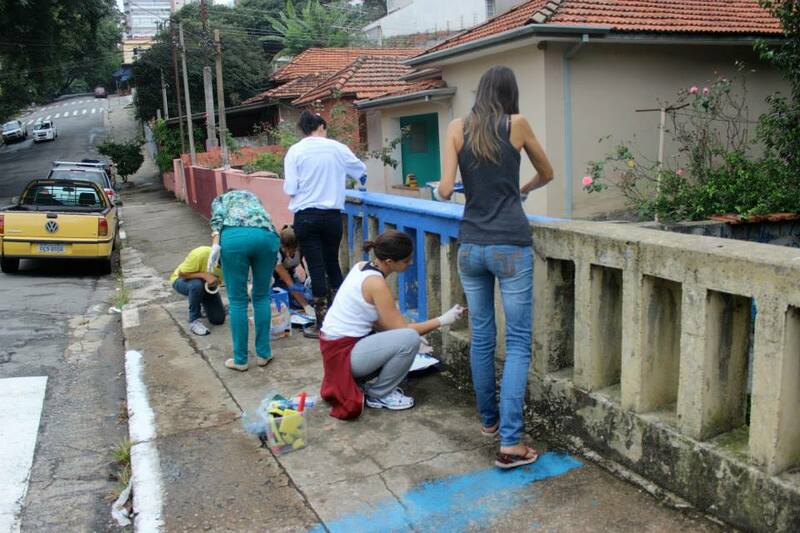 Together, they organized the painting of a pedestrian crosswalk connecting Parque Linear das Corujas and the Praça das Corujas, two neighborhood parks. 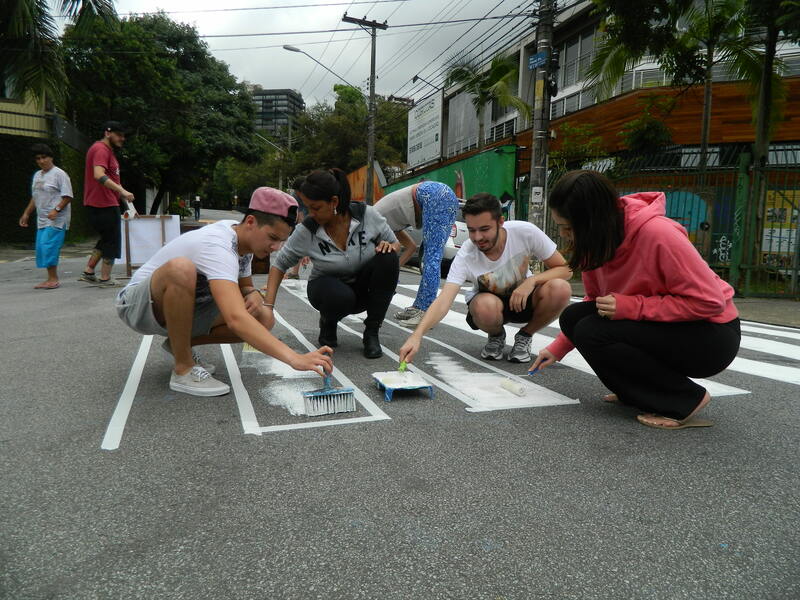 The intersection had seen too many accidents involving pedestrians because cars drove too fast through it, and the community had been asking the city’s department of transportation “Companhia de Engenharia de Tráfego” to fix the situation for three years. 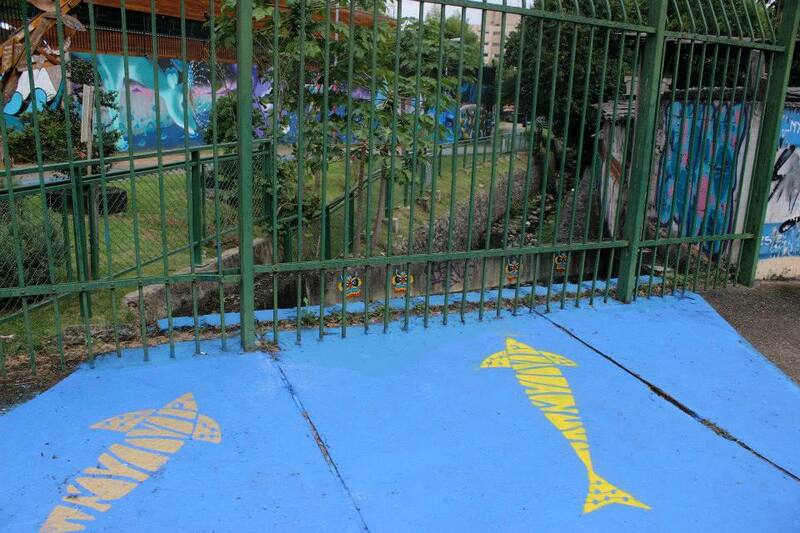 The guerilla painting project included both painting the crosswalk and painting a small mural in the street in honor of the stream that passes through the area, one of the last of its kind in São Paulo. Overall, 70 participants of all ages worked on the project, many of whom were residents and volunteers. Painting materials were donated by generous partners as well as brought by volunteers. Acupuntura Urbana believes that the increased attention to this intersection has had a positive impact on its security by improving the area’s walkability. The project was extremely light as it only required paint, brushes, and stencils. The project took one month to organize and implement.